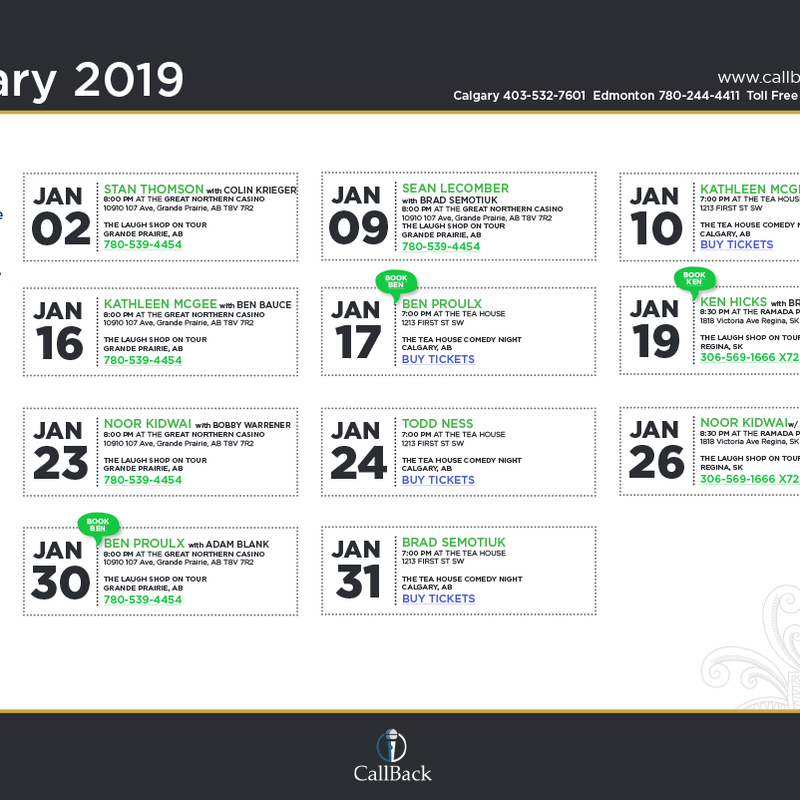 Check out all this months live shows presented by the Laugh Shop On Tour and other friends of CallBack Corporate Entertainment! 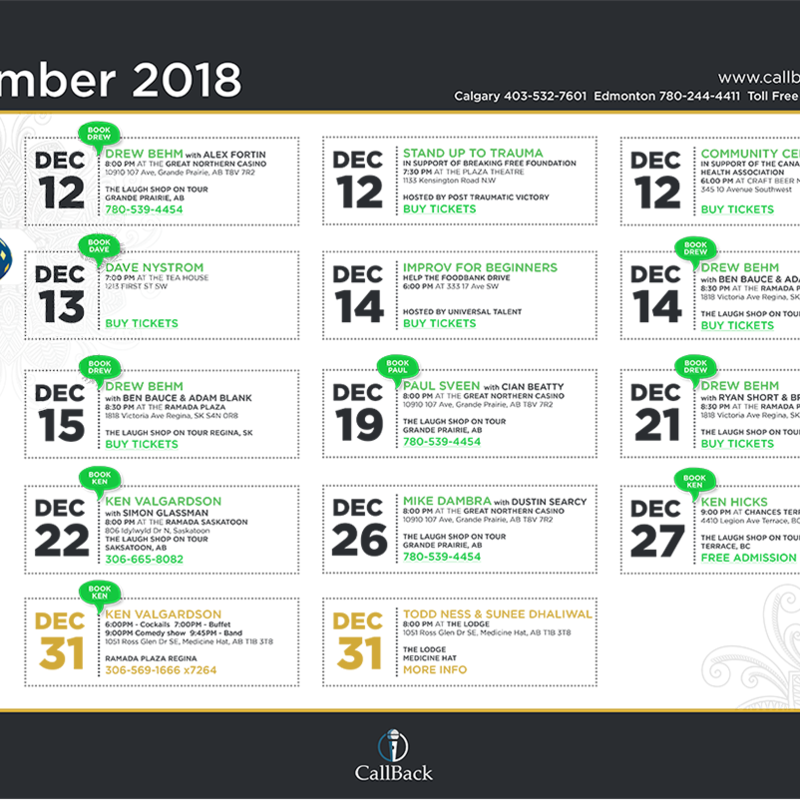 Feel good or do good this holiday season with live comedy shows and fundraising events recommended by CallBack Corporate Entertainment. 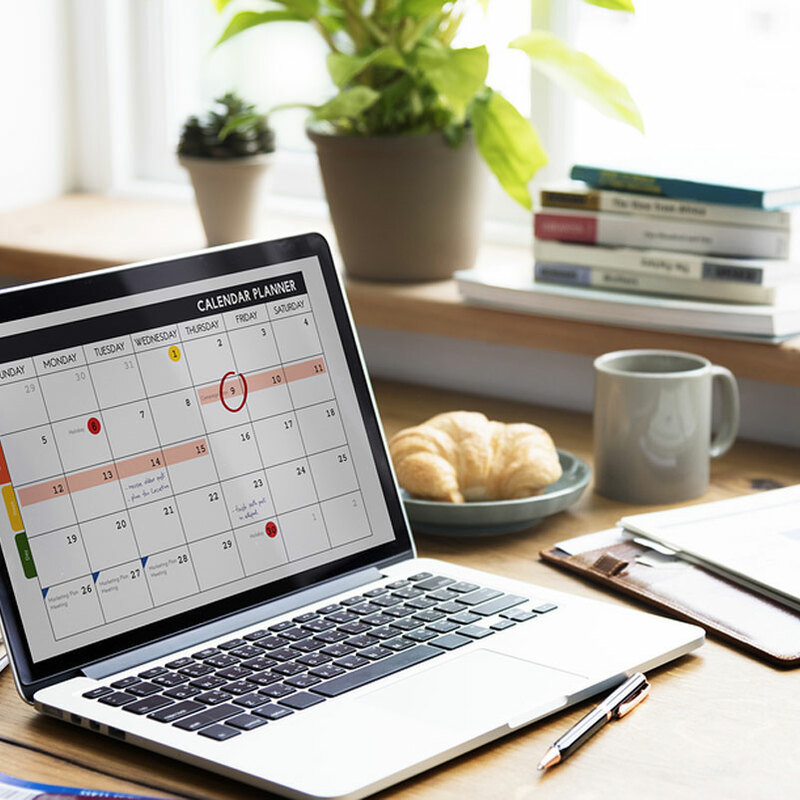 Organizing the office holiday party, team building event, conference, Stampede party, AGM or fundraiser can be an overwhelming task. When it comes to the entertainment, this is what people are going to remember the most from your event, no matter how small or large it is. 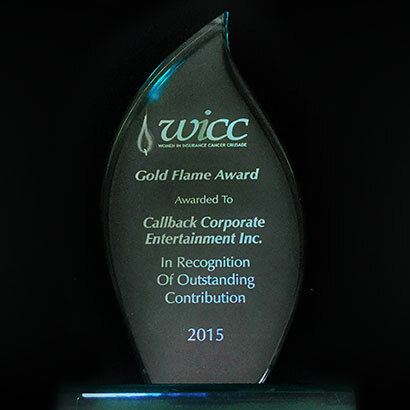 CallBack Entertainment was recently honoured by Women in Insurance Cancer Crusade (WICC) for the assistance it has provided to their fundraising drives.